Data analytics is the newfound rage in the field of sports, which is being readily adopted as a means of more accurate and precise assessment of ranking a team’s or player’s performance. Today, the need for an accurate system of data analytics is felt in various arenas of professional sport, as it is deemed to be one of the factors that can effectively facilitate the formation of precise and authentic conclusions, based on objective assessment. The emphasis on the need for an accurate data analytics system in professional sports has brought technology to the forefront. With the increasing demand for the employment of accurate data analytics system, technology has become one of the most important aspects in the field of professional sports. The players now rely on the methods and procedures of advanced technology to gain insight into their performances and the mechanics of the relevant sport. This enables them to clearly identify their strengths and weakness, allowing them to take adequate measures to improve their skills, abilities, and eventually overall performance in the field. Body sensors and 3D Doppler radars are two of the examples of integrated technology into sports, to lead to more effective and efficient assessment methods, through accurate data analytics. With the increasing use and influence of technology in professional sports, Gary King, Director of Institute of Quantitative Social Science, at Harvard University, suggests that in coming future, data analytics is to play a significant role in the sports field. It will be influencing decisions and conclusions in more than one ways. Since most of conclusions in sports rely on quantitative, objective results, data analytics can be of considerable importance in determining the accuracy of the end scores. As mentioned earlier, technology including body sensors and 3D Doppler radars can be of significant use in ensuring accurate results and scoring, leaving minimal or no room for ambiguity and doubt. The precision of the results, as a consequence of an accurate data analytics system, also helps in determining the net worth of a professional sports player. 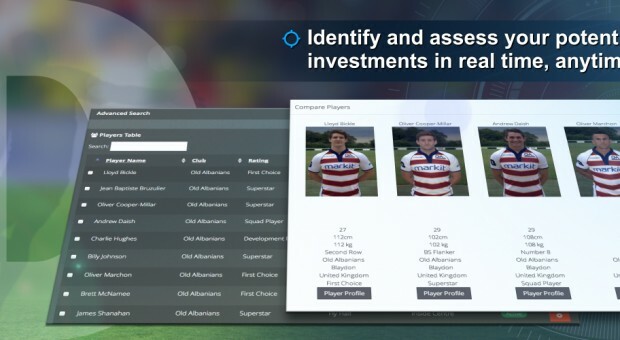 As the complied data analytics are relied upon for the formation of analytical and assessment reports, whose conclusions are considered by various teams before investing in a player. Ensuring to make use of an accurate data analytics system will lead to an accurate assessment and judgement of a player’s talent and skills, allowing the teams to select best suited options to be hired. An accurate data analytics system further provides the individual player with an objective and precise appraisal of their performance, employing a tested and acknowledged mode of measurement for their skills. Relying on the devised conclusions of an accurate data analytics system, players can become better aware of their current form and the areas in which they might need improvement. An accurate data analytics system is believed- and has proven in various cases- to be of considerable significance in the early identification of deserving talent and facilitating the formation of precise evaluation reports. It has benefitted the sports field in more than one ways, the importance of which is covered in more detail in our next article. The function and working of human memory is a misunderstood concept today. It is believed that on recollection, usually human memories are replayed as they were recorded in our minds. However, in actuality, human memories are much more susceptible to change and can be easily moulded due to various internal or external influences. This altering of the actual memory, to recall and event or happening as it did not happen, gives rise to the concept of false memory. Though, false memory may be more prevalent among various individuals, and under some particular circumstances, the truth is, to some degree or other, we all experience false memories. This misconstrued recollection and arrangement of events, in the form of false memories, may lead to various adulterated inclusion of facts and details, as a part of conclusive reports. With the increasing awareness about the function of human memory and its vulnerability to derive false memories, it is hard to ignore the influence of this, observed in various spheres of life including sports. Along with playing an important role in influencing the critical decisions and conclusions in various fields, including the much publicised area in law, other areas such as sports have also come under the influence of false memories. The generation of false memories can greatly affect the conclusions and findings of sports analytics, to alter them, rendering them less effective in terms of accuracy. It is misconceived, that on recollection, most of the events recorded in our memories are played as a replica of the actual happening, as witnessed by the viewer under consideration. On the contrary, psychologists explain the procedure of recollection as a ‘reconstruction’ of the recalled events, rather than the sequential replay of the recorded memory. This clearly describes the occurrence and origin of false memory. As described by Elizabeth F. Loftus of the University of California, Irvine, recollection of memory is more synonymous to putting together puzzle pieces than replaying a recorded video. A more direct comprehension and explanation may be that on recall the retained fragments of memory are recollected and rearranged as the person remembering the facts might find it most convenient, without voluntarily influencing the recollection in any way possible. Moreover, false memories can also be deliberately generated and influenced- a subject which has been of psychologists’ interest in the recent past. The vulnerability of the human memory system towards internal and external influences that alter memories and generate false events and occurrences, has also observed to be playing a significant role in the presentation of inaccurate sports analytics and reports. There is a higher possibility for the occurrence of a false memory, in case of a single sighting. Brief duration of exposure to a happening makes it more vulnerable to change. The finding can easily be attributed as one of the main reasons, which works imperceptibly to alter the conclusions of sports analytics and reports, making them inaccurate. Various other factors can also lead to the generation of false memories concerning sports, for instance, like and dislike for a particular sports team or player may alter the facts recorded in your brain. Your recollection of the sport analytics will be influenced and altered by your bias, towards or against, a particular team or player. False memories generated as a result of such factors, can affect the reports that are prepared following a sports event, with the inaccurate presentation of analytics. To counter such problems, introduction and maintenance of a structured analytics system in the arena of sports can greatly benefit the cause, which is discussed in further detail in our next article.